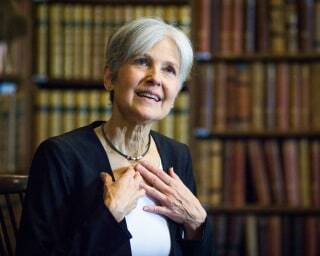 Jill Stein, the Green Party candidate for president, has proposed a "Green New Deal" that would create 20 million living wage jobs, wants to drive big money out of politics, and wants the U.S. to immediately stop sending weapons to the Middle East. She's also feeling the Bern — so much so that Stein has offered "to establish a collaboration" with Bernie Sanders as he fights Hillary Clinton for the Democratic Party nomination. "Many of my supporters are also his supporters," Stein told NBC News. "I'm asked all the time if there could be a Bernie Sanders collaboration and my answer to that has always been yes. The Green Party has long sought to establish a collaboration with Bernie Sanders." But, Stein said, "that phone call has not been returned and I don't expect that this will happen." "We're different," she added. "He is working inside the Democratic Party. I threw in the towel a long time ago." While they share common goals — like combating income inequality and putting people ahead of polluters — Stein said they are to the left of Sanders on foreign policy and on domestic issues like student loan debt, which she wants to cancel immediately. There was no immediate response from the Sanders campaign about Stein's overture. Stein, a 65-year-old physician and married mother of two grown sons, insists what she is proposing "is not pie in the sky." "What we are calling for is an emergency transition to green energy, food and transportation, a wartime-level mobilization that will turn the tide of climate change and make the wars for oil obsolete," she said. Asked if, like Sanders, she identifies as a democratic socialist, Stein said she generally avoids "isms." "I am someone who supports things that work rather than ideology," she said. "That said, if the question is do I support people over profits, then my answer is yes. If the question is do I support economic democracy, the answer is of course." This is not Stein's first run for the White House. She got 469,015 votes in the 2012 general election when she ran the first time against President Barack Obama and former Massachusetts Gov. Mitt Romney. And she is "not holding my breath" that she will beat whoever the Democrats and Republicans wind up nominating this year. "But I am not ruling it out," she added. "We have far more recognition than we did four years ago. And we are in the age of unpredictable events, this presidential election being one of them." The rise of Donald Trump, she said, is proof that anything can happen this year. He has harnessed the anger of the "people who have been thrown under the bus," she said. "It's not a mystery what is going on here," she said. "People have been savaged by a predatory economic and political system, and some are turning to Trump. Unfortunately, Trump is just more of the same." Stein's worldview may be similar to Sanders', but the first part of her life story mirrors Clinton's in many ways. Like Clinton, Stein is a Chicago-born child of the 60s with an Ivy League education. But Stein, who is 65, said that is where the similarities end. "I think we're polar opposites," Stein said. "Hillary talks the talk, but in my view she is as big a corporatist, as big a war monger, as big an imperialist as any of the Republican presidential candidates. Her rhetoric is less offensive." 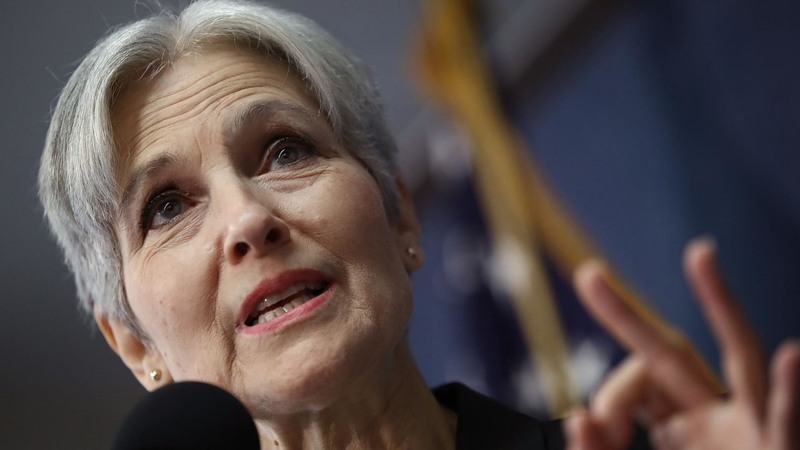 Stein grew up in Highland Park, a well-off and largely Jewish Chicago suburb that director John Hughes featured in movies like "Ferris Bueller's Day Off" and "Home Alone." "It was a lily-white place," Stein said. "But no one at that time was oblivious to the (Vietnam) war and the civil rights and women's movements. I was part of a small group at my high school that held weekly vigils against the war outside the local library." Like Clinton, Stein was an excellent student. And while Clinton went to Yale after graduating from high school in nearby Park Ridge, Illinois, Stein headed to Harvard, where she graduated from medical school in 1979. Stein then decamped for leafy Lexington, Massachusetts, where she went into private practice. She married a fellow physician named Richard Rohrer and they raised two sons named Ben and Noah. In 1998, Stein went from small-town doctor to environmental activist when she joined the fight to shut down the so-called "Filthy Five" coal plants in Massachusetts. She also tried to clean-up politics in the Bay State by pushing for campaign finance reform. "What drove me into politics was when the Democratic Party killed campaign finance reform in my state," she said. "The Green Party approached me to run for governor in 2002 and foolishly I accepted." Stein lost. "But what we realized is that people were hungry for discussion," she said. In 2005, Stein was elected to the Lexington town board and reelected in 2008. But when she ran for Massachusetts state Representative in 2004, she got trounced. The same thing happened again in 2006 when she ran for Secretary of the Commonwealth, and again in 2010 when she ran for governor for a second time in 2010. "The mythology is that political change happens only in election years," she said. "The truth is you build from election to election." In 2012, Stein made her first run for the White House, blasting both Obama and Romney as Wall Street stooges. She was endorsed by, among others, famed left wing political activist Noam Chomsky. 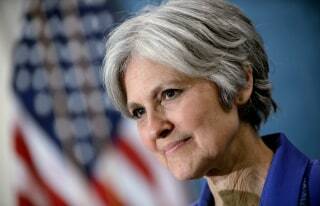 This year, Stein said she is hoping to build an even bigger coalition of Americans who fear for the country's future. "The biggest waste of your vote is to vote for either of the corporate political parties," she said. Hemp Legislation Moving Thanks to our own Hildebrandt campaign team: Ken & Elaine. RICHMOND, Va. — When people think of hemp, marijuana often comes to mind — because the two plants are varieties of cannabis. But hemp has a variety of uses, from making textiles and building materials to feeding livestock. The settlers at Jamestown grew hemp. So did George Washington and Thomas Jefferson. In the 1940s, Henry Ford reportedly built a car body of hemp fiber and ran it on hemp oil. In the 1950s, however, the United States banned hemp because of its association with marijuana. That prohibition has remained in effect — until now. Virginia soon will legalize the growing of industrial hemp under legislation passed by the General Assembly and signed into law by Gov. Terry McAuliffe. Licensed growers will be allowed to cultivate industrial hemp as part of a university-managed research program under House Bill 1277, introduced by Republican Del. Joseph Yost of Blacksburg, and Senate Bill 955, sponsored by Democratic Sen. Rosalyn Dance of Petersburg. The new law defines industrial hemp as a species of the cannabis sativa plant with a minimal level of THC, the psychoactive ingredient in marijuana. It says industrial hemp can have “a concentration of THC that is no greater than that allowed by federal law.” The state law makes it explicitly clear that industrial hemp is not marijuana. Once the law takes effect in July, the Virginia Department of Agriculture and Consumer Services will develop regulations for growing hemp. The industrial hemp research program will be supervised and managed by public institutions of higher education. Yost represents House District 12, which includes the counties of Giles, Pulaski and Montgomery, where Virginia Tech University is located. He has been contacted by farmers interested in growing hemp. His colleagues in the General Assembly agreed. HB 1277 passed the House unanimously and the Senate on a 34-3 vote. The companion bill, SB 955, passed the Senate 32-5 and the House unanimously. McAuliffe signed both bills on March 16. The new law is a victory for the Virginia Industrial Hemp Coalition, a grassroots organization that has been working to legalize the crop. But the legislation doesn’t go far enough, says Jason Amatucci, the coalition’s founder and director. He said research is not needed to show why industrial hemp should be legalized. Amatucci said industrial hemp will be good for the economy and environment. He said it can be used in textiles, fiber production, building materials and nutritional products. Including Virginia, 22 states have authorized industrial hemp programs, according to the National Conference of State Legislatures. They range from California and Colorado to Vermont and South Carolina. Congress opened the door for such programs in the 2014 federal farm bill. With its new law, Virginia may be able to plant the seeds, literally and figuratively, for the new hemp industry in 2016. Yost is optimistic. 1. WIND JOBS REGAINED: 2014 saw a rebound of the wind industry jobs that were lost due to PTC uncertainty in 2013 – the U.S. wind energy industry added over 22,500 full-time equivalent jobs in 2014, bringing the total to 73,000. This is a partial rebound from the nearly 30,000 jobs that were lost in 2013 due to the lapse of the PTC at the end of 2012. 2. WIND INSTALLATIONS REBOUND: The 4,854 MW of wind capacity added during 2014 was more than four times the amount installed in 2013. Additionally, there are more than 12,700 MW of wind capacity currently under construction and an additional 5,000 MW of wind capacity with long-term power purchase agreements that had not started construction by the end of 2014. 3. WIND BENEFITS EVERY STATE: There are utility-scale wind projects or active wind-related manufacturing facilities in all 50 states. Even in regions like the Southeast without utility-scale projects, there are significant jobs in manufacturing, project development, and other areas. In fact, over 70 percent of U.S. Congressional districts have operational wind energy projects or active wind-related manufacturing facilities. The 73,000 jobs in wind are spread across all 50 states. 4. COSTS PLUMMET: The cost of wind energy dropped over 50 percent between 2009 and 2013, with the industry continuing to advance technology in several areas, from improved siting techniques to larger rotor diameters and taller towers that are increasing energy production across the country and opening up new regions for development. Taller turbine towers are raising the prospect of significant wind development occurring in the Southeast in the near future. 5. WIND TOP SOURCE OF NEW GENERATION: Wind energy was the largest source of new generation in the U.S. It was the primary choice for new power in the wind-rich regions of the Midwest, Pacific Northwest, and Plains states, providing 60 percent or more of all new electric generation capacity between 2011 and 2014. Wind’s market share was as high as 80 percent in the Midwest. 6. CORPORATIONS WANT WIND: Over 23 percent of the MW contracted through 2014 power purchase agreements were with non-utility off-takers including Amazon, Microsoft, the General Services Administration (GSA), Walmart and Yahoo! Many of these companies and organizations explained that they were attracted by wind energy’s unique ability to offer stably-priced energy, given its lack of fuel cost uncertainty. 7. CARBON AND WATER SAVINGS GREATER THAN PREVIOUSLY THOUGHT: Wind energy production avoided an estimated 125 million metric tons of carbon dioxide during 2014 – more than 5.7 percent of U.S. power sector emissions – while avoiding the consumption of over 68 billion gallons of water. This was estimated with a new tool that shows these benefits are even greater than previously thought. 8. NEW TRANSMISSION OPENS NEW AREAS FOR DEVELOPMENT: Texas is currently undergoing a wind boom thanks to the Competitive Renewable Energy Zone network of new transmission lines. That success will soon be replicated in other areas, as the grid operators SPP and MISO have adopted similar policies for planning and paying for transmission and are beginning to build major new transmission upgrades. 9. NEW WIND RECORDS SHOW ITS RELIABILITY: Three states (Iowa, South Dakota and Kansas) now reliably generate more than 20 percent of their electricity from wind power. At times, wind energy has provided more than 60 percent of electricity on the main Colorado power system, and nearly 40 percent on the main Texas power system. Record wind output also helped to keep the lights on during extreme cold snaps in January 2014 and 2015. 10. U.S. LEADS WORLD IN WIND: The U.S. leads the world in wind energy generation, producing over 181 billion kWh of wind energy during 2014 or enough electricity to power over 16.7 million homes. These trends show us that our federal policy has been working. However, our energy future is at a crossroads. Our common sense policy – the renewable energy production tax credit (PTC) – expired on December 31st. Please visit Power of Wind to write to your legislators today. Let them know that we need more predictable policy to keep this American success story going. Emily Williams is Manager, Industry Data & Analysis for the American Wind Energy Association. In this position, she manages AWEA’s data collection and analytical agenda, including energy sector statistics, wind project and manufacturing data, and wind market economics. Independent Green Party Marisa Wissar running for Fairfax County Board of Supervisors - Sully District. Marisa Wissar, Independent Green Party, is a mother of three, a graduate of Marymount University, an Art teacher, and professional artist, and interior designer. Marisa Wissar, Independent Green Party Green New Deal eco jobs for the economy. Rail jobs. Solar jobs. Wind jobs. Geothermal jobs. Bring bike share to Fairfax County and Sully District. Build Rail to Sully District, Centreville. Marisa Wissar, "We need More Trains, Less Traffic". If people just voted on policies, the Greens would be the party of government in the run-up to the 2015 General Election. That’s according to a survey that polled voters from across the United Kingdom, based solely on policies rather than party affiliation, seat incumbents or leaders’ personalities. The results are based on policies from all parties’ 2010 manifestos, and is set to be updated soon ahead of the nationwide election in May. But, despite their relatively low public profile, the Green Party’s policies appeal more to the public than any of the major players. Ed Miliband’s Labour (20%) are closest to the Greens overall, but still languish seven per cent behind Natalie Bennett’s party, who polled 27.47% in the Vote For Policies poll. Right-wing parties Ukip and the BNP had 11.78% and 9.94% respectively. The 519,649 users who took the poll preferred the Green Party’s stance on Crime, the Economy, Education, Environment and Health. The only categories it lost out in were Democracy and Europe, which went to the Liberal Democrats, and Immigration and Welfare, which were taken by Labour. Be Independent Green Party candidate in 2015! Historic victory for Fightin' Joe Morrissey, Independent Green Party central committee member. Fightin Joe (IG) rocks Virginia poltics - elected to House of Delegates. Independent Green Party Fightin' Joe Morrissey Green New Deal eco jobs for the economy a winner! Joseph D. Morrissey, Independent Green Party elected tonight!! Congrats to the Independent Green Party of Virginia's central committee member Joseph D. Morrrisey (IG)! Fightin' Joe Morrissey (IG) elected to the Virginia state legislature tonight, the House of Delegates. Independent Green Party state Chairman Joseph P. Oddo (IG), "This is a historic victory for our Fightin' Joe (IG) and the Independent Green Party. We need the Green New Deal eco jobs for the economy. Rail jobs. Solar jobs. Wind Jobs. Geothermal Jobs. Thank you to our Independent Green Party Fightin' Joe voters!" Gail for Rail Parker, Independent Green Party state vice chair, "We thank Fightin' Joe Morrissey (IG) for his political courage. Fightin' Joe (IG) has been there for the voters, tonight they were there for Fightin Joe!" State legislator Joseph D. Morrissey, Independent Green Party, stuns the Virginia political world with tonight's victory. "The Independent Green Party has worked decades for the Green New Deal positive solutions of eco for the economy. More Trains, Less Traffic. Rail jobs. Solar jobs. Wind jobs. Now one of our own is in the state legislature!" Carey Campbell, Independent Green Party state executive committee. Independent Green Party elects and welcomes attorney Joseph D. Morrissey to Independent Green Party state central committee. Former Henrico commonwealth attorney and veteran state legislator Joseph D. Morrissey has been elected to the Independent Green Party state central committee. The Indy Green state central committee consists of the Independent Green Party state Chairman, state Vice Chair, the state Executive Committee, and the Chairmen of each of the eleven congressional districts. Independent Green Party state Chairman Joseph P. Oddo, "We welcome Joe Morrissey to the Independent Green Party. Delegate Morrissey brings valued experience as a commonwealth attorney, a state legislator, school teacher, university lecturer, and practicing private attorney." Independent Green Party state Vice Chair Gail for Rail Parker, " Delegate Morrissey's professional, and political experience strengthen the Independent Green Party in offering voters an alternative on the ballot." "Delegate Joe Morrissey gives voters a choice on the ballot in the special election January 13, 2015. 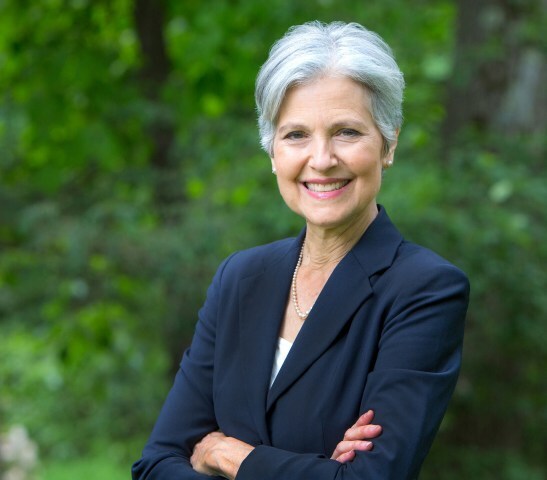 The Independent Green Party looks forward to working with Mr. Morrissey in the years to come." Carey Campbell Independent Green Party state Executive Committee. Joe Morrissey - Independent Green Party endorsee/nominee for House of Delegates district 74. B.A. in economics University of Virginia 1979. J.D. from Georgetown University Law School 1982. Joe Morrissey taught government as a high school teacher. Joe Morrissey was Commonwealth Attorney from 1989 to 1993 in Richmond, Virginia. Joe Morrissey began private practice as an attorney in 1993. Joe Morrissey earned a master of laws degree with honors at Trinity College in Dublin, Ireland in 2003. Joe Morrissey was a lecturer of Law at Portobello College in Ireland from 2001-2002, taught law school at the Dublin Institute of Technology (2001-2003)and in Australia at the University of Adelaide and the University of Western Sydney in 2003. Joe Morrissey was first elected to the Virginia House of Delegates in 2007. Joe Morrissey was re-elected in 2009, 2011. Joe Morrissey was unopposed for re-election to House of Delegates in 2013. Joe Morrissey has proposed a Term Limits bill for member of the House of Delegates and State Senate. The Green Party was founded on Term Limits. Joe Morrissey had a bill before the House of Delegates in the last legislative session to protect the environment by charging .05 cents for all plastic bags. This is a law that has worked in other states to raise revenue and protect the environment. The Independent Green Party of Virginia endorses and nominates Joe Morrissey as a champion for more trains, less traffic for House of Delegates. The Independent Green Party Green New Deal Eco jobs for the economy. Green Party solar jobs, wind jobs, geothermal jobs, rail jobs, conservation jobs. Independent Green Party of Virginia efficiency jobs, weatherization jobs. Green Party, walkability jobs, bike share jobs, efficiency jobs. Rail saves lives. Rail pays for itself through economic growth. Rail creates jobs. Rail increases the value of our homes, businesses, and communities. Rail grows revenue for schools, police, and fire departments. Rail cuts dependence on fossil fuel. Rail increases national security. Rail allows for mass evacuation in an emergency. Cut tax payer subsidies to ZERO to oil, auto, asphalt, coal, and cement. "Fightin' Joe Morriessey is fearless, and he never gives up - ever. " Independent Green Party state chairman Joseph Oddo. William Henry Jones, Independent Green Party endorsee nominee for House of Delegates 63rd district. William Henry Jones Jr. is on the ballot for the special election on January 6th. The Independent Green Party endorses and nominates for House of Delegate special elections January 6th in 63rd district, and January 13th 79th district. William Henry Jones Jr. is the Independent Green Party endorsee/nominee for the 63rd. William Henry Jones Jr. promises to offer voters a choice in January. "If you know me, I don't mind challenges. January 6, you can choose," Jones said Thursday. "At least we're gonna have an election this time and not a coronation." An often-vocal critic of city issues, William Henry Jones filed to run by Wednesday night's deadline. Independent Green Party endorses and nominates first wave of candidates for 2015. Virginia's entire state legislature is up for election in 2015. 100 members of House of Delegates. 40 in the state senate. At their state meeting the Independent Green Party voted to endorse and, or nominate these Green leaders. Paul Gagnon was a state and national Green Party leader in the 1980's, and 1990's. Paul Gagnon led a slate of Indy Green Party endorsees in the 1999 state and local elections. While Paul ran for Chairman of the Fairfax County Board of Supervisors, his wife Johna Good Gagnon was one of two Indy Green Party endorsed candidates (Carey Campbell was the other) for Northern Virginia Soil and Water Conservation District Director. Paul Gagnon continued work in the community throughout his life. According to today's obit in the Washington Post, "Paul Gagnon, 60, a former medical laboratory technologiest and mediator who had worked as a magistrate for Virginia's cournt system since 2005, died Nov. 15 at his home in Franconia, VA. The cause was gastric cancer, said his wife, Johna Good Gagnon. A native Washingtonian, Mr. Gagnon was a medical laboratory technologist from 1979 to 2005 at what became Inova Alexandria Hospital and co-owned the Franconia-based Gagnon Training and Development from 1986 to 2004. He was former board chairman of Lee District Land Use Advisory Committee. He was an appointed citizen representative of the Fairfax County Commission on Organ and Tissue Donation and Transplantation and won the 2006 Fairfax County Volunteer Service Award." The Independent Green Party of Virginia mourns the passing Paul E. Gagnon. Our thoughts and prayers go to his family. Indy Green Party 2014 results - Thank you to candidates & voters! Thank you to Independent Green Party full slate of candidates 2014, and Independent Green Party voters. 11) Dr. Joseph Galdo Green Party 1% in four way race. Audrey Clement Arlington School Board 33% in two way race. Joseph P. Oddo, Independent Green Party state chairman. Joe Oddo Indy Green Party Green New Deal eco jobs for economy. Solar jobs. Wind jobs. Geothermal jobs. Rail jobss. Joe Oddo Indy Green Party fiscally conservative, socially responsible. Joe Oddo Indy Green Party more green candidates, less apathy. Independent Green Party full slate of 2014 congressional candidates. 2) John W. Smith Jr.
Audrey Clement Arlington County School Board. Green Yes, the Scottish Green Party's campaign for a Yes vote in the independence referendum, today (14 Sep) has published new figures which for the first time estimate the public subsidy behind big oil company profits. The campaign has also published a detailed report by a leading oil finance author, showing the options an independent Scotland would have to position itself as a world leader in offshore decommissioning and publicly owned renewables. The subsidy figure reveals that oil companies receive around £1billion worth of tax breaks from the UK Government every year - that's roughly £190 from every Scot. "As Scotland debates its future, discussion over oil has tended to focus on extracting every last drop and burning it, when we know we simply can't afford to do that for economic and environmental reasons. What has also been overlooked is the huge subsidy we're all giving the big oil companies. Now that figure's out in the open we should consider the logic of continuing such massive tax breaks. "Big oil companies are already throwing their weight around as the vote nears, and an independent Scotland should be prepared to stand up to that. If Scotland remains part of the UK we will struggle to assert control; with a Yes we can build a genuinely sustainable economy, reducing our reliance on a declining industry and instead growing the clean technology of the future." We place the average tax break at around £1.15 billion per annum for the entire UK Continental Shelf. The Scottish proportion of this is approximately 90 per cent or roughly £1.05 billion per year. The 90:10 split is based on Scotland's geographical share and commonly used. This total figure is an estimate based on a combination of Government and industry estimates but very limited data. The Green Yes graphic includes illustrations of what £1 billion could deliver instead of subsidising oil industry profits: more renewables, childcare, 25,000 extra teachers, 28,000 extra nurses. Petra Kelly, Green Party founder.